Hiding out in London, a Jamaican gangster comes face to face with his brother's killer. Idris Elba's directorial debut, an adaptation of Victor Headley's cult novel Yardie, takes its name from the slang term used to describe members of the Jamaican diaspora, or in this context, those predisposed to criminal activity. 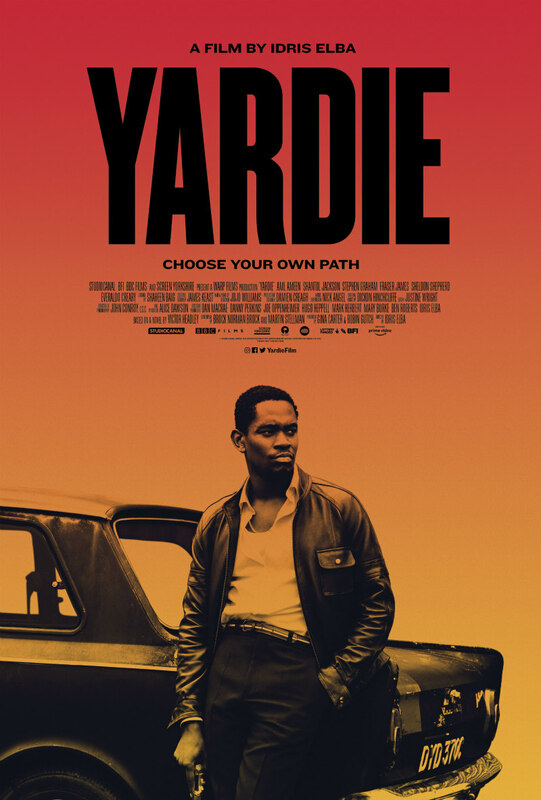 The titular Yardie here is Dennis (Aml Ameen), a young Jamaican native who grows up to become the right hand man of Kingston kingpin King Fox (Sheldon Shepherd) after witnessing the gunning down of his older brother, a DJ known as Jerry Dread (Everaldo Creary). When Dennis issues a beating to a rival gangster, King Fox packs him off to London with a brick of cocaine to be delivered to Rico (Stephen Graham), a white Jamaican gangster based in the UK capital. Annoyed at cokehead Rico's disrespectful attitude, Dennis decides to scarper with the coke, holing up at the council estate home of his childhood sweetheart Yvonne (Shantol Jackson) and recruiting a trio of local street kids to turn his cocaine into cash. While attempting to evade Rico and his crew, Dennis stumbles across the man who fired the bullet that cost Jerry his life. When actors pick up the director's megaphone, the result is usually a film more focussed on performances than visual storytelling, and that's the case with Elba's debut. His movie's strongest point is the impressive work done by an ensemble of relatively unknown Black British performers, with Ameen and Jackson the standouts. Where it suffers is in Elba's stiff storytelling, which relies too much on a voiceover narration employed as a cheap shortcut to create the tension and atmosphere lacking in Elba's functional, TV-like direction. Yardie's early Jamaican set portions are falsely promising, portraying a world that hasn't been covered in film in such detail since Jamaican filmmaker Perry Henzell's cult 1972 drama The Harder They Come. The backdrop of the island adds a production value that disappears when the action transfers to the drab concrete jungle of 1980s London. Once the story moves to the UK we're on all too familiar ground, Elba's film quickly becoming indistinguishable from the dozens of British crime movies released every year since Guy Ritchie found success with the format in the late '90s. It doesn't help that while Ameen is a ruggedly charming presence, it's difficult to find any sympathy for Dennis, especially given how he endangers the lives of the woman he claims to love and her young daughter. 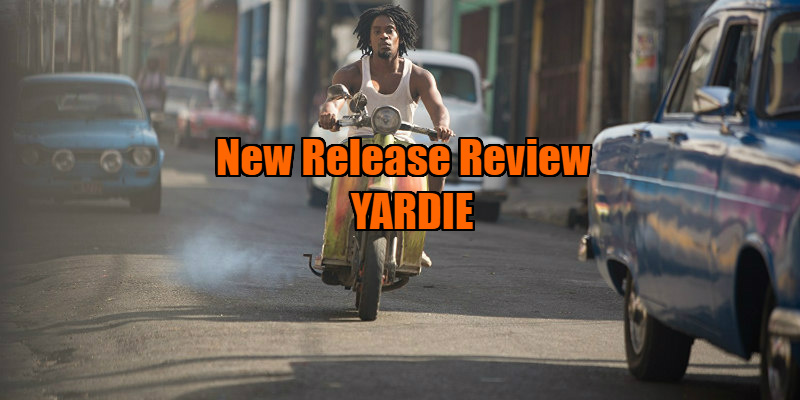 While Yardie is for the most part trading in gritty social realism, it morphs into a very different movie every time Graham's Rico commands the screen. His is a character who behaves like he walked in from the set of a far more cartoonish take on London's underworld, and the decision to make him a white man in this otherwise Afro-centric milieu is a puzzling one that makes you wonder if an earlier draft commented on cultural appropriation or the advantage his racial make-up might give him in his criminal dealings. Another disappointing element of Elba's debut is the lack of time devoted to the 'soundclash' DJing culture that exploded in West Indian communities in London during the '80s. The young wannabe gangsters in Dennis's employ are involved in crime to pay for DJing equipment, but aside from a few dancefloor shots, that's as far as Elba delves. DJing is one of those cultures that's never been portrayed in any realistic fashion on screen, and with Elba himself heavily involved in the world of turntablism, it feels like a missed opportunity to shine a light on a misunderstood craft. Yardie is in UK/ROI cinemas August 31st.